Pearl’s milk production has picked up to 2-3 gallons a day, and suddenly I have to be making cheese. I’m trying to make enough feta to get through the summer, even though I much prefer making it with goat or sheep milk, partly for flavor, but mostly because yellow feta looks wrong to me! The weather has been so, so lovely, but I can’t get a thing done in the garden, because it rains so often, the ground won’t dry out enough to work! Baby tomatoes are up, and peppers, and cardoons. And nicotiana. The girls and I are all burned out on the dairy. There’s too much to do here, and way, WAY too much to do there. Maeby looks gorgeous. 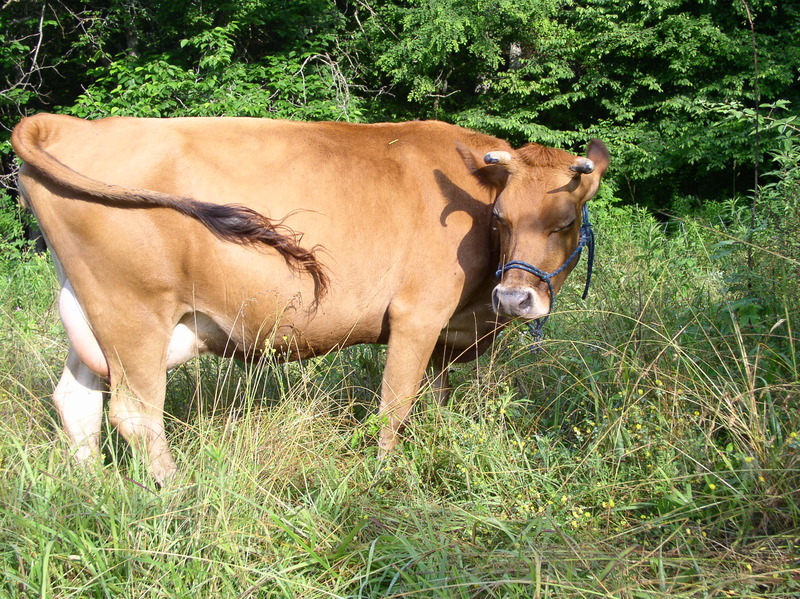 Her sister, Maude’s daughter, just had a calf and it sounds like she’s doing well. 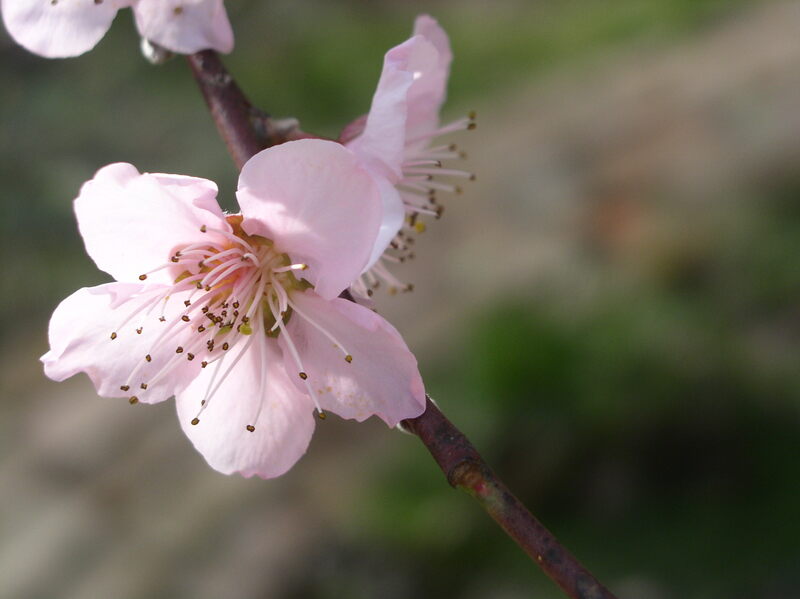 The peach tree in front of the house has finished blooming, and is leafing out. The grass and clover in the pastures is belly-high to Joon. It’s an early, early spring (it was 80° yesterday), and so far, there’s no end in sight. DH took on the miserable task of cleaning out the greenhouse this past weekend, which was a big job after the duckies spent the winter in there, and today I’m starting tomatoes.